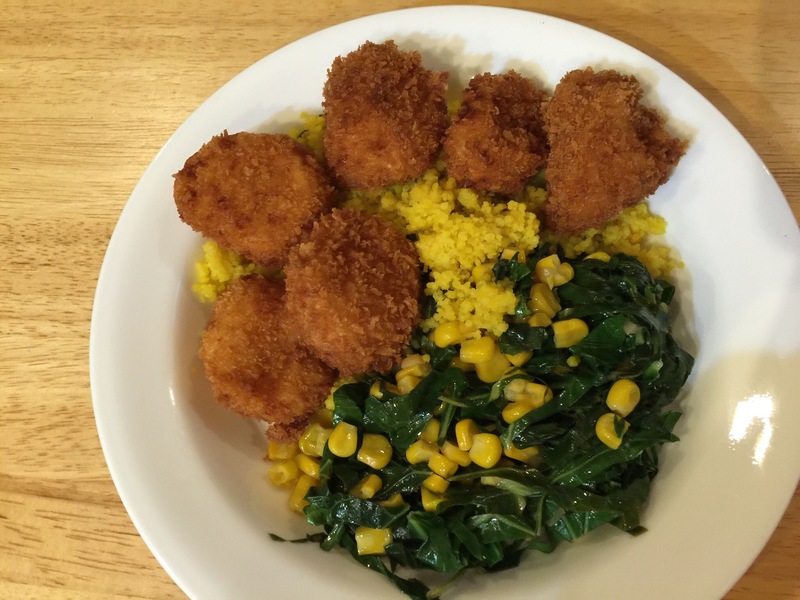 Okay, this is the picture from the first time I made the fried scallops. It was so busy at dinner time since Jonathan had come over for dinner, that I forgot the picture-taking. He had heard us boast about our fabulous fried scallops and decided to take the day off from work and come over for tennis, a binge watch of Wallander, and the crowning event, fried scallops with waffle fries, and Caesar salad with homemade croutons. It was a great day topped by an even better dinner. This entry was posted in pescatarian, Shellfish and tagged Caesar salad, Fried scallops, Pescatarian. Bookmark the permalink.